Yesterday, August 29th, Michael Jackson would have celebrated his 53rd birthday. It has been over two years since the "King of Pop" passed away on June 25, 2009. My favorite memories of the music of Michael Jackson are from my childhood years of the early 1980s. 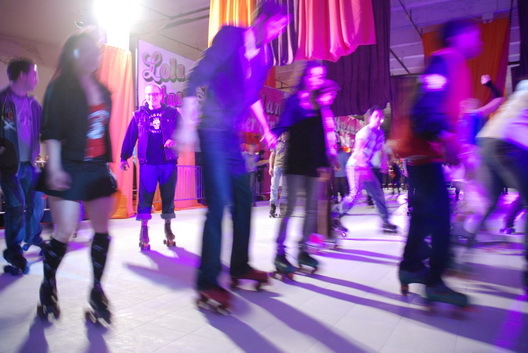 Wall Township, NJ, my hometown, had a roller-skating rink called the "Rollerdrome." A cool guy named Mike with dark, bushy hair ran the place, served as both DJ and referee! Some of my favorite tunes to skate to were from Michael Jackson's "Off the Wall" album, released in 1979. In particular, the tracks "Don't Stop 'til You Get Enough," "Rock With You," and "Off the Wall." While Thriller (1982) is Michael Jackson's most successful album, Off the Wall will always be my sentimental favorite. 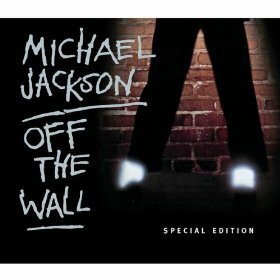 I strongly recommend the Special Edition of Off the Wall that contains bonus footage with interviews with Quincy Jones and Rod Temperton, and the wonderful original demo version of "Don't Stop 'til You Get Enough" with its driving rhythm section complete with a cowbell and glass bottles. Enjoy these tracks as you remember the King of Pop on his birthday! I concur that while the Thriller LP went on to become one of the most successful released album of all time, it was Off The Wall LP that contains some of Michael Jackson's most memorable yet funkiest dance tracks ever produced and released(ala the production magic from Quincy Jones, of course). I, for one, would almost always have at least "Don't Stop til You Get Enough" track on a 12" single vinyl records format ready & willing in my personal bag of goodies, anywhere and anytime! Diggin' it! I was so thrilled to be contacted by the sister of "Mike" the Rollerdrome referee/DJ who was cited in the article. He states that he was there from the day that it opened in 1978 until the day that it closed in 1985. Mike sends a shout-out to our blog for the mention! The Rollerdrome was owned by Mr. Walter Anderson, VP of the Wall Intermediate School. Some, including myself, met one-on-one with Mr. Anderson as he was the school's disciplinarian!